Juice the carrots. 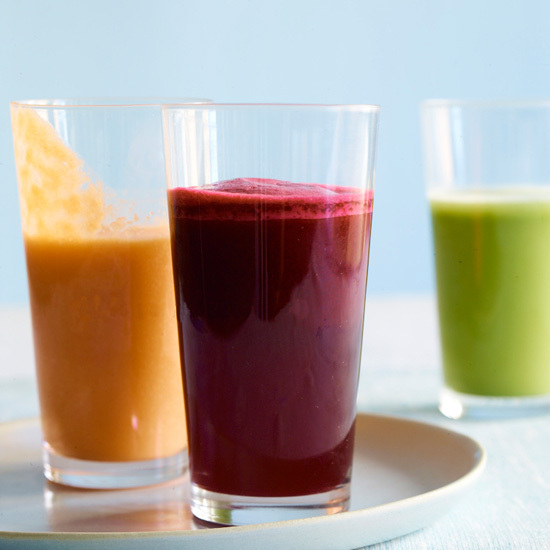 Transfer the juice to a blender and add all of the remaining ingredients except the salt. Blend until smooth. Season with salt. One serving 203 cal, 52 gm carb, 3 gm protein, 2 gm fiber, less than 1 gm fat.